地獄的錢 Hell Money is my first piece that applies Walter Benjamin’s theories to sound on a full scale. My previous chamber work 冥紙 Ghost Money demonstrated how traditional forms of musical development could approach Benjamin’s complex aesthetic stance, while this work abandons, almost entirely, traditional forms of cohesion in favor of development through constant change—textural, thematic, stylistic, and aesthetic. 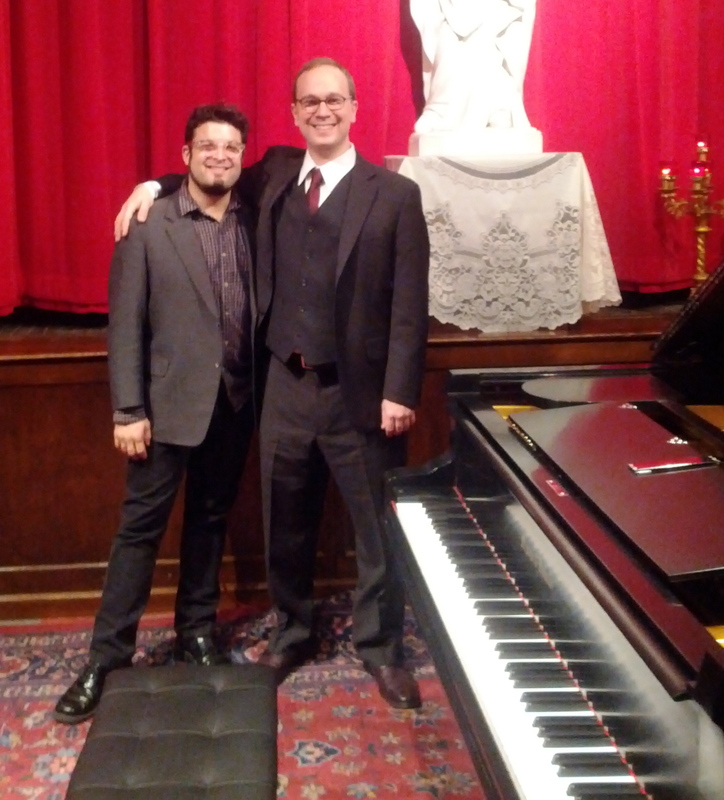 Louis Goldford with pianist Michael McElvain. Collage and cross-cutting are just two techniques that can be used to show musical affinity between forces that appear distant or opposed, but they are the primary developing mechanism in 地獄的錢 Hell Money. Here collage is embraced on all levels. At first only individual sonorities, chords and small movements between notes are used to form new phrases. But the piece develops by increasing the scope of the technique, by continually forming larger blocks of musical material until finally toward the end whole sections of material are pitted against one another and further developed by cross-cutting between them. Intersections happen in the close proximity created by jump-cutting and collage, whereby distant musical forces are brought into focus. They occurs through no particular arbitrary scheme; the technique is chosen solely on the ability of each excerpt to somehow relate to the next, and their collective ability to reveal something new about their sound worlds that may not have been apparent before.